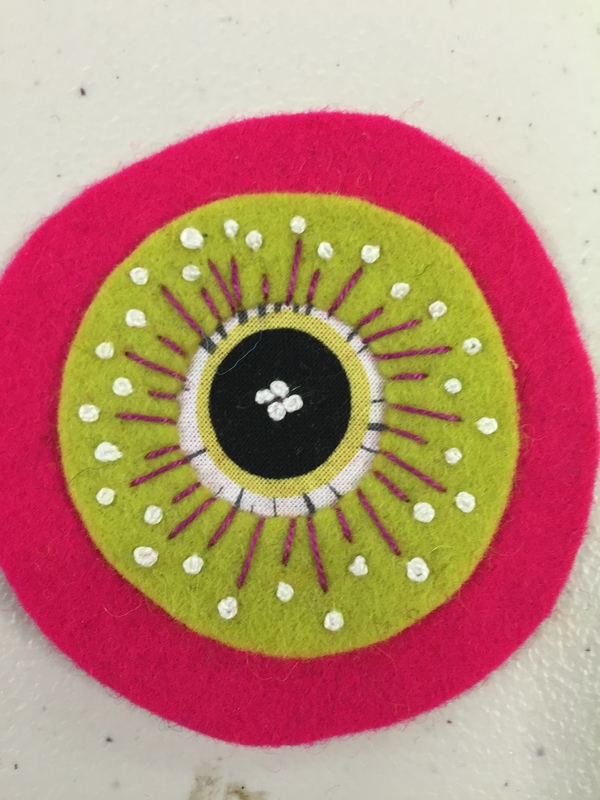 I have been an admirer of Katrina’s work for a number of years, so when I heard that she was to teach here in Victoria, I knew I had to be there! 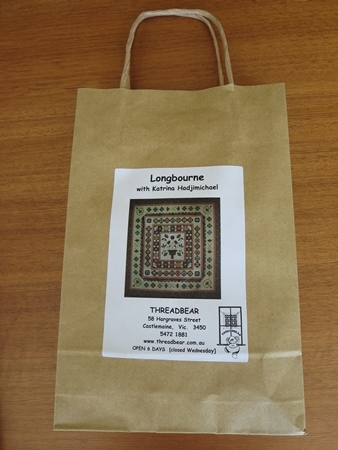 The quilt being taught was “Longbourne”, number 3 in Katrina’s Jane Austen series, which currently numbers eight. 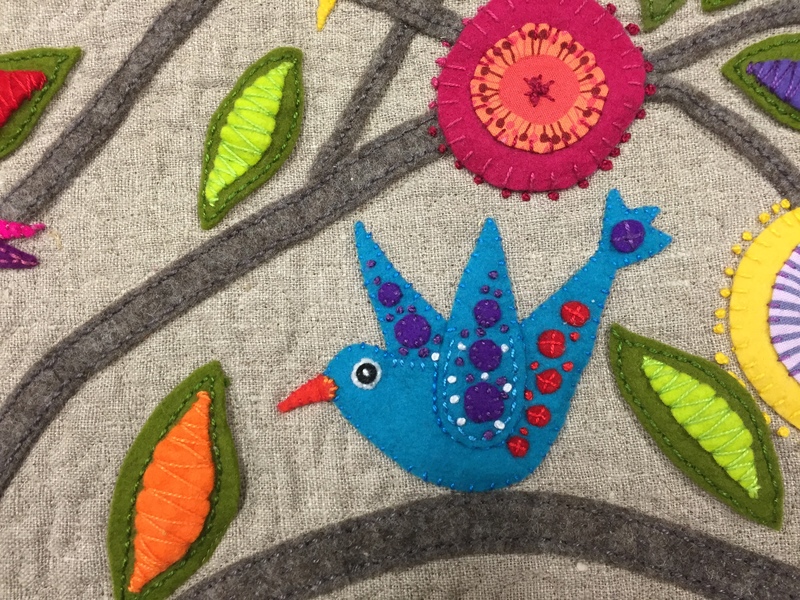 It’s a feast of applique, fussy cutting and English Paper Piecing. Bliss! 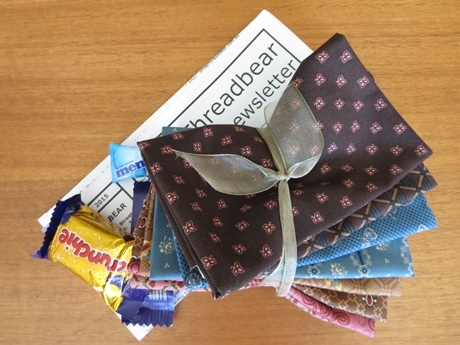 When we arrived and found a spot to park our bags, belongings and bodies, we received a lovely little gift bag from Corliss, complete with chocolate sustenance and fabric treasures. 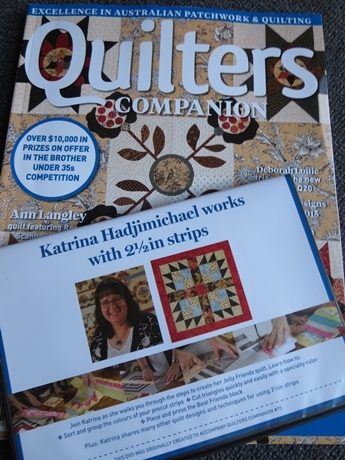 Katrina also came armed with a gift: a copy of the recent Quilters Companion magazine which included a DVD featuring Katrina and her tips for Jelly Roll quilts. Then to the real work of the day! 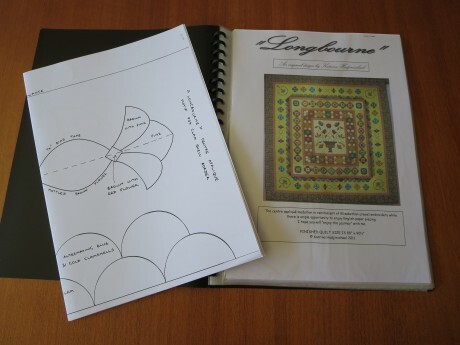 Katrina is a very organised and meticulous teacher and led us through the various techniques and processes required to make our own version of Longbourne. 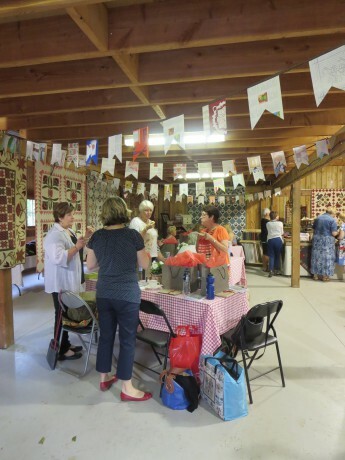 All the extensive notes, beautifully drawn pattern sheets, and a collection of photos showing in detail various elements of the quilt, were presented in a display folder for each participant. 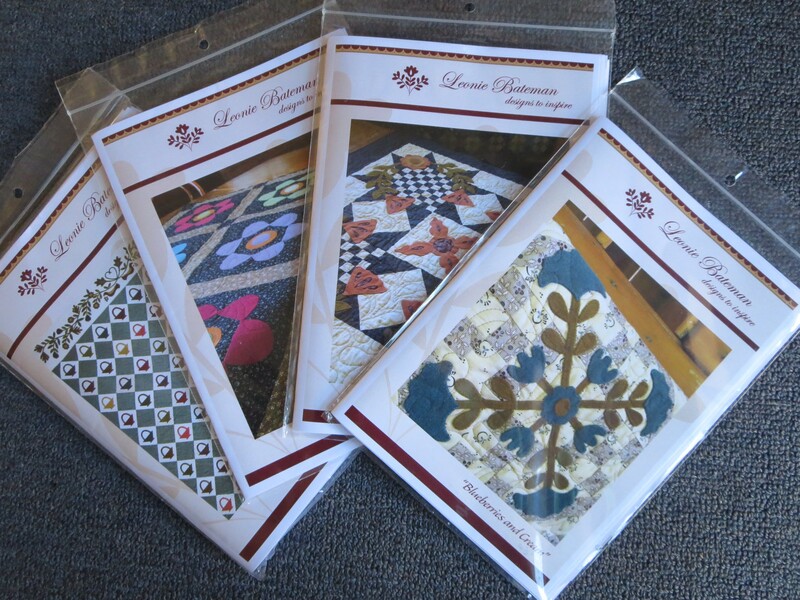 Pattern sheets and detailed instructions in a display folder. 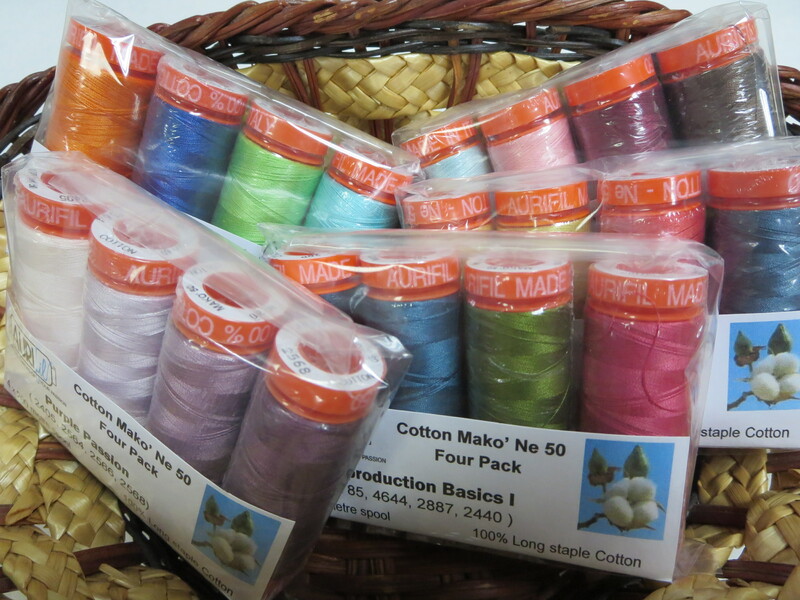 At the beginning of the class one lady asked Katrina what her secret is for such accurate and neat work? In short, the answer is attention to detail. 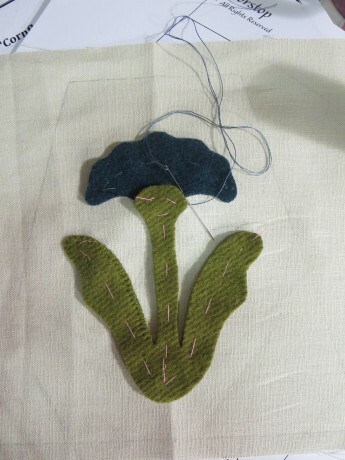 All applique components are tacked onto paper first. 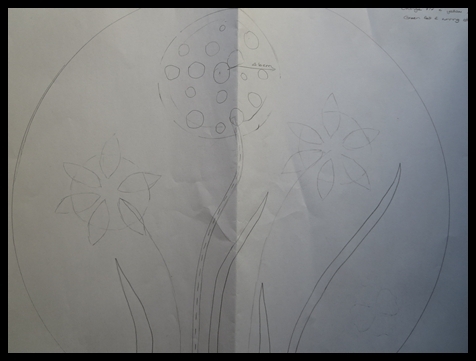 Katrina takes great care when tracing and cutting out her pattern pieces. 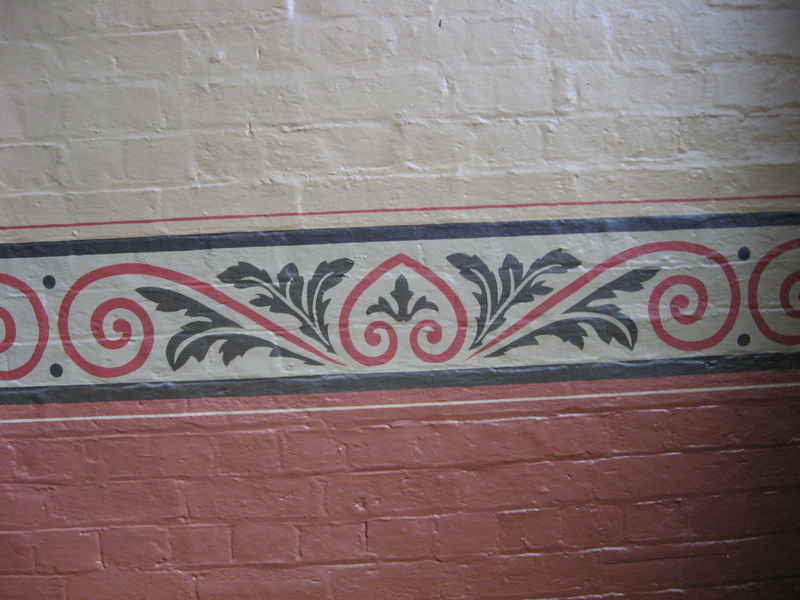 No sloppy workmanship here! Tacking onto cartridge paper for fussy cut components. 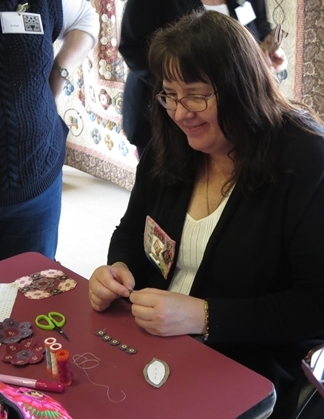 Here’s Katrina demonstrating how she makes tiny (3/8″) hexagons. 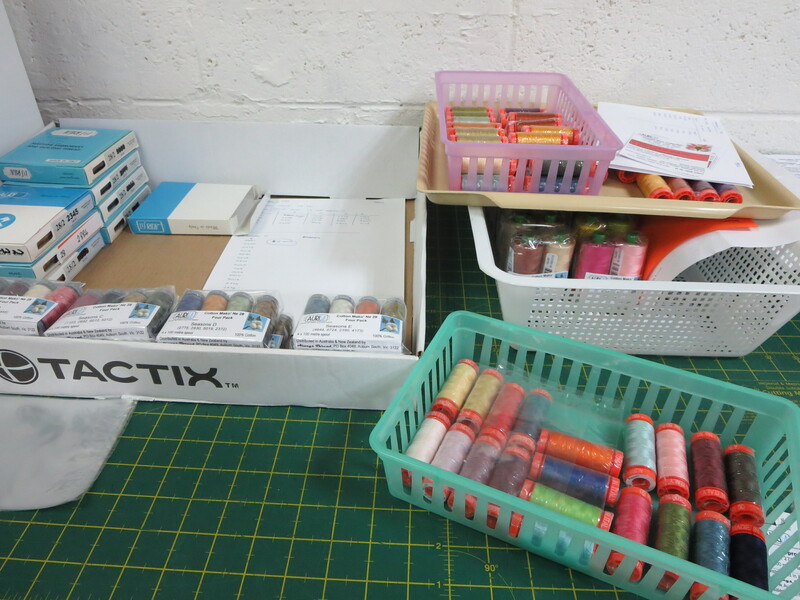 And the thread of choice… Aurifil of course!! (Here she is using 50 weight). 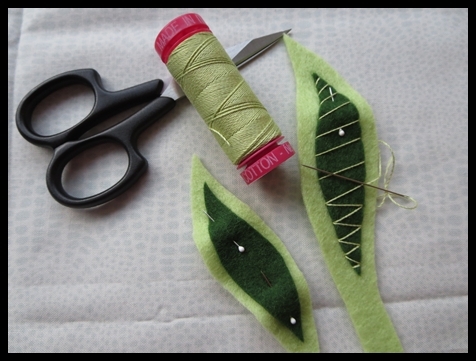 And so, to sew. The bias stems come first. 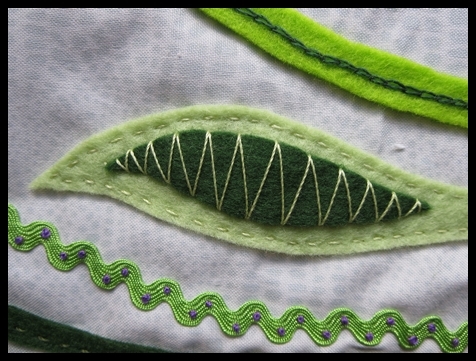 Ready to applique the bias stems. 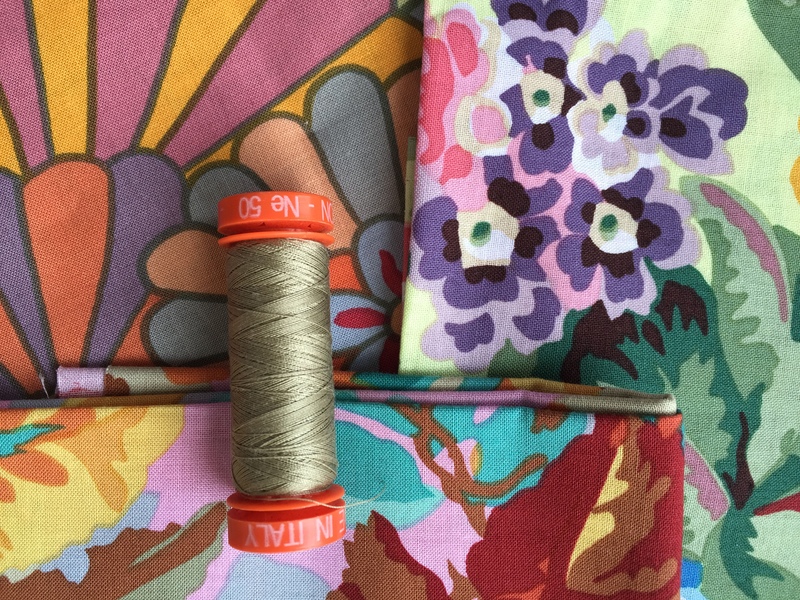 I have not done a great deal of actual sewing as yet, but I have done a little playing with various fabric combinations, and lots of thinking about my creation. 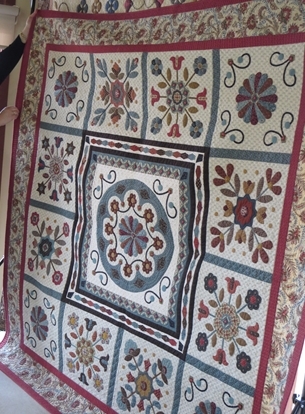 And when Longbourne is finished, there may be another of Katina’s Jane Austen quilts calling me. 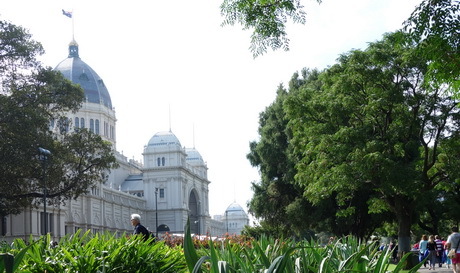 Lambton, the latest in Katrina’s Jane Austen collection. Thank you Katrina and Corliss for a most enjoyable and inspirational day. 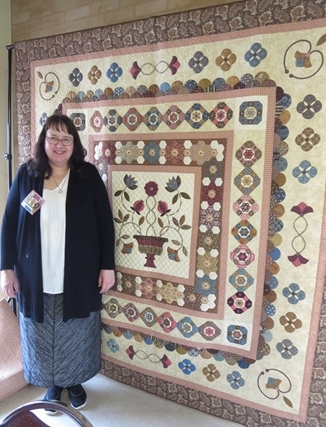 The staff at Always Quilting recently discussed using embroidery and quilting frames to display textile work. 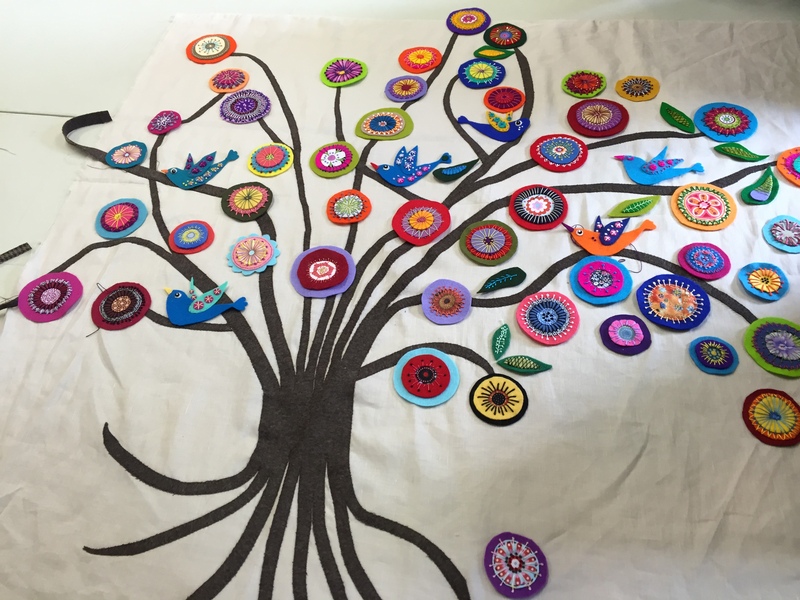 Embroidery and stitcheries, applique, pieced items and quilting, even a pretty piece of fabric can all be displayed this way. 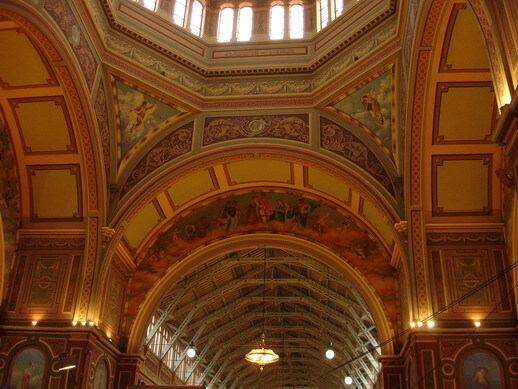 A quick internet search gives you lots of inspiration! 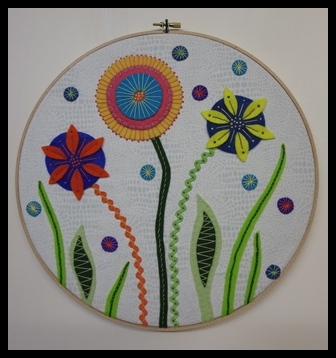 Indeed, I was inspired and have since made a couple of items which are displayed in inexpensive embroidery hoops. 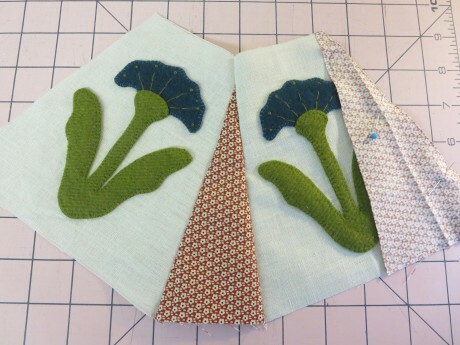 For my first piece, I decided to engage in some English paper piecing and fussy cutting and make a small companion piece for a mini quilt made last year and which I blogged about in a previous post. 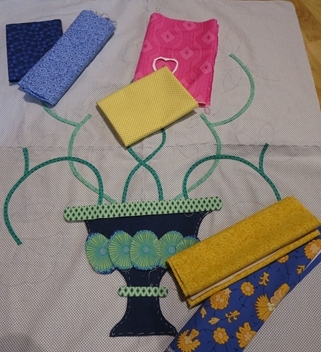 https://alwaysquilting.wordpress.com/2014/11/28/always-playing…-fussy-cutting/ You might recall that there was not much fabric left, but certainly sufficient for my purpose. 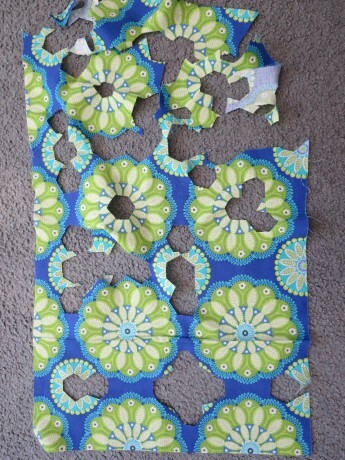 Plenty of holes, but still enough fabric for my project! 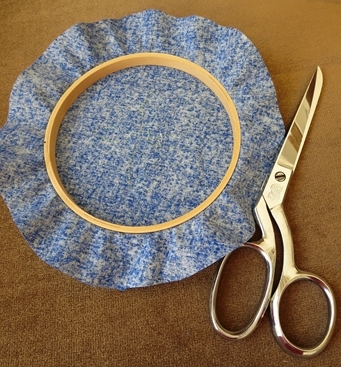 I used 4x 2-inch clamshells and fussy-cut my fabric, with a small circle as the centre. There are many methods of preparing your English paper pieces, from tacking, to glue-basting, to fusible papers. I discuss one method here. 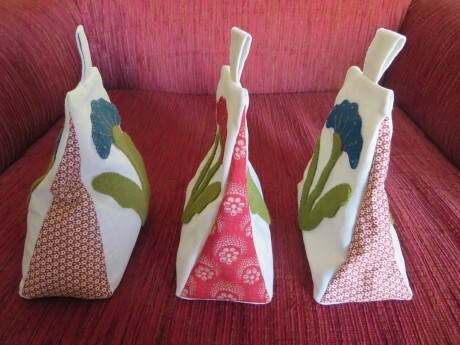 https://alwaysquilting.wordpress.com/2013/02/22/english-paper-…agons-and-more/ When using clamshells, I prefer to tack the paper in place as this gives me greatest control over the curve, ensuring it is nice and smooth. 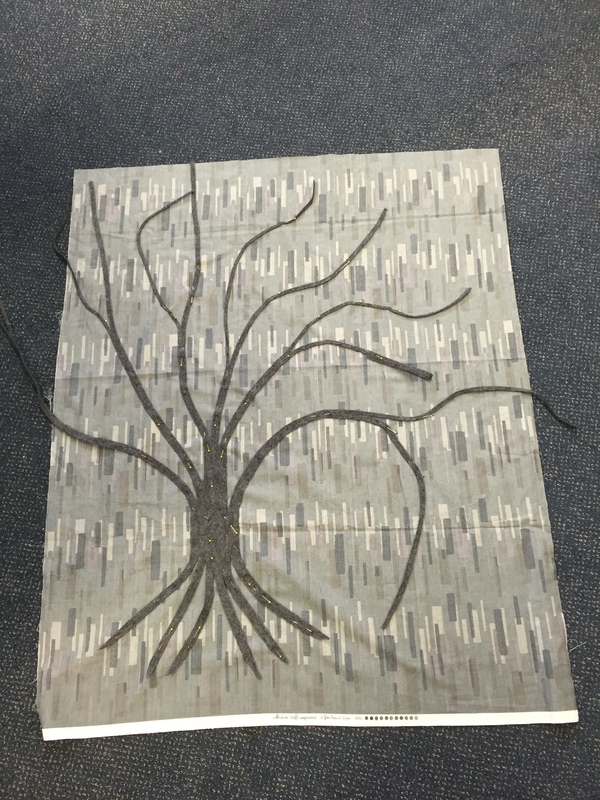 When it is tacked into place I give it a good press. 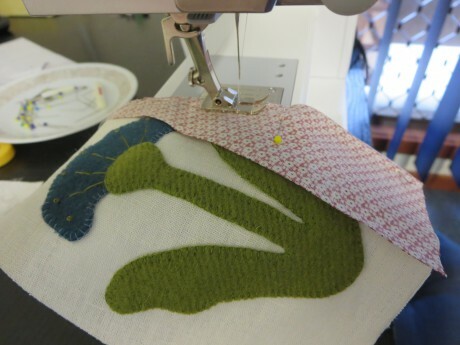 Tacking the fabric onto the clamshell paper. 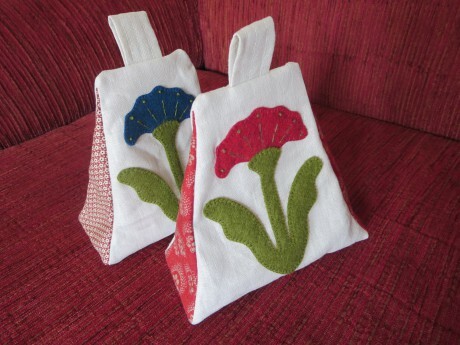 Once I had made my clamshells I appliqued them onto my background fabric using Aurifil Cotton Mako 50. 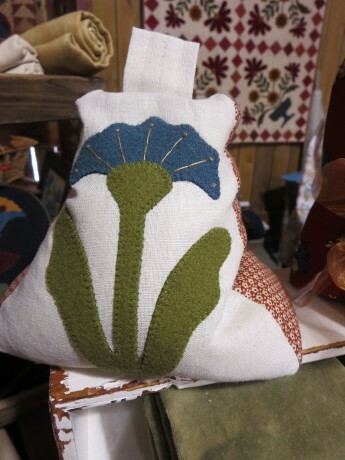 As you can see in the photo, I left plenty of fabric around the edges. 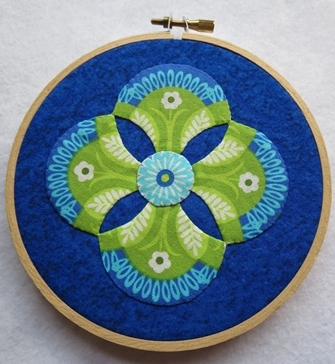 I then took my little hoop, in this case 5 inches in diameter, and centred my design in it. 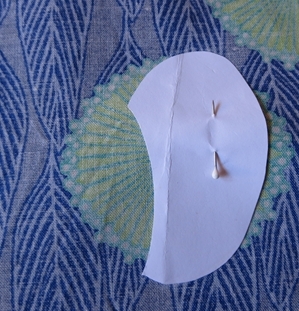 When I was happy with its placement I tightened the screw so that the work was tensioned with no wrinkles. 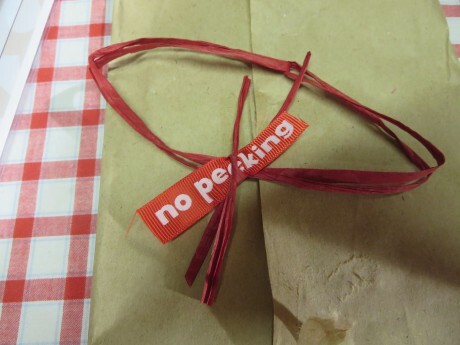 Ensure the item is centred in the hoop. 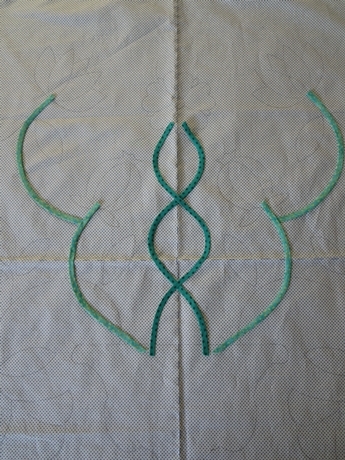 I trimmed the background fabric to a border of about 1 1/2 inches. 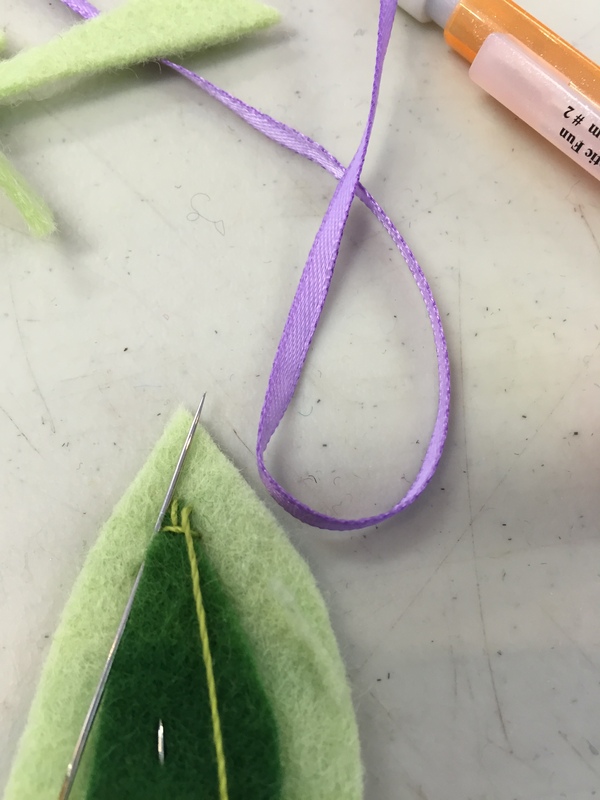 Trimming excess fabric to 1 1/2 inches. 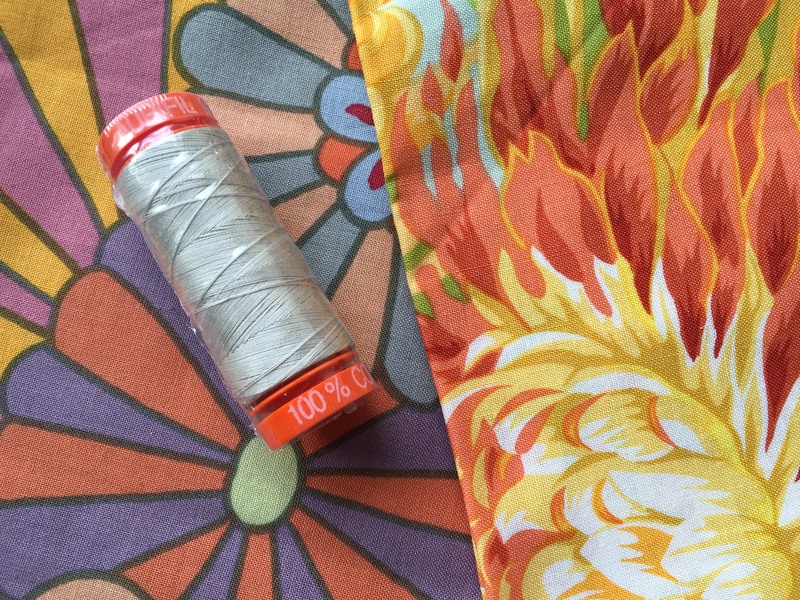 I took a strong thread (Aurifil Cotton Mako 28) and ran a gathering stitch around the perimeter. 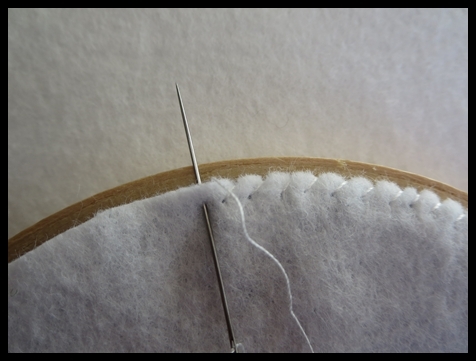 To make this job easier I did not cut my thread off the spool, but used it directly from the spool. 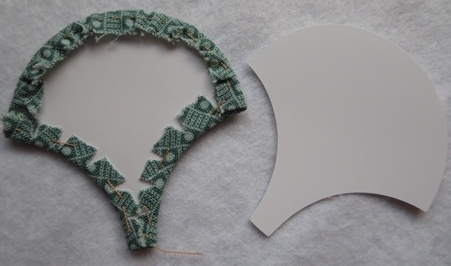 This way could adjust it as required, and I didn’t run the risk of miscalculating the length of cotton I needed, or of accidentally pulling the gathers out. 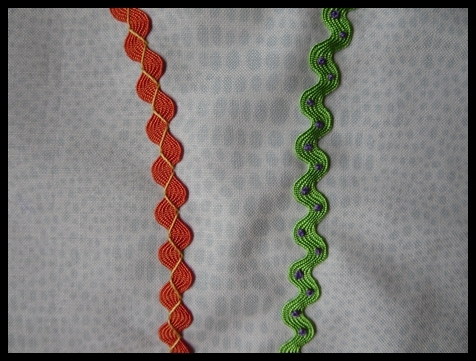 When I had the gathers sitting as I wanted, I cut the threads leaving a tail, then tied them in a reef knot to secure them. 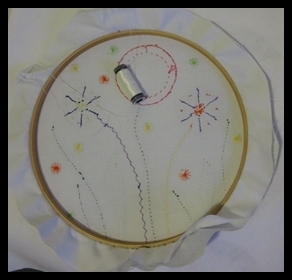 Gathering the background fabric behind the hoop. 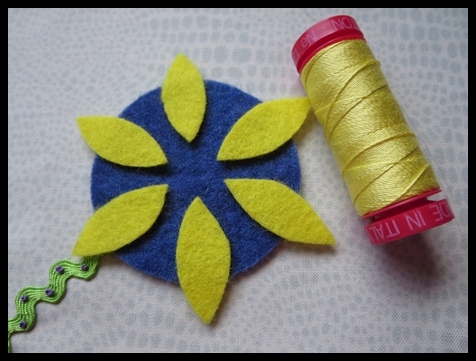 To cover the back of the hoop I cut a circle of felt, using the hoop as a template for the circle. 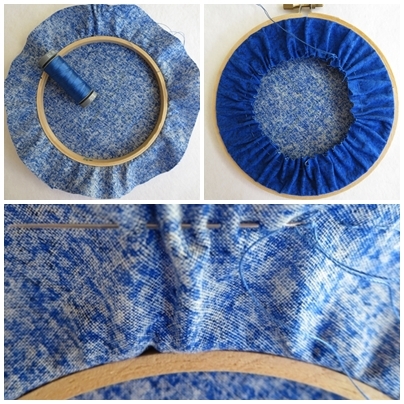 I wanted the felt to fit just to the edge of the blue background fabric, but inside hoop. 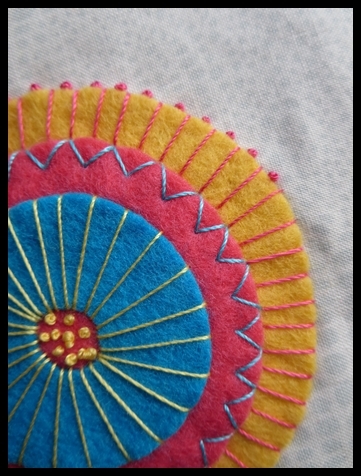 Finally I stitched the felt in place again using a strong thread, Aurifil Cotton Mako 28. 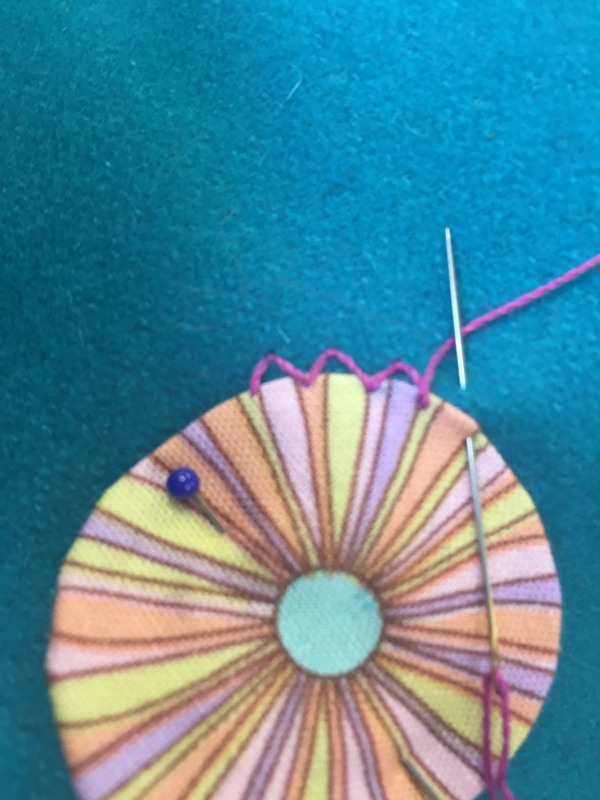 I used an overstitch going from the felt out towards the edge of the hoop as shown in the photo, and I ensured that each bite into the felt was about 3mm and went into the blue background fabric each time. 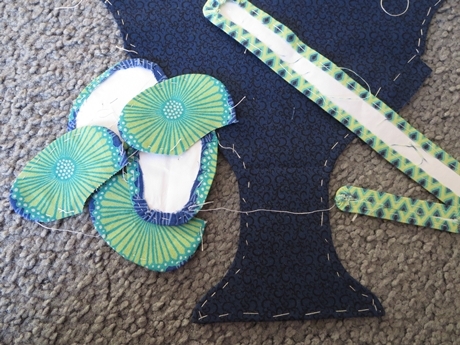 Stitching the felt back into place. 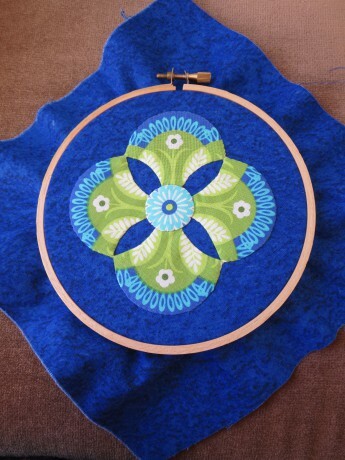 And my little project is finished and ready to hang on the wall! My little hanging all ready to display on the wall. 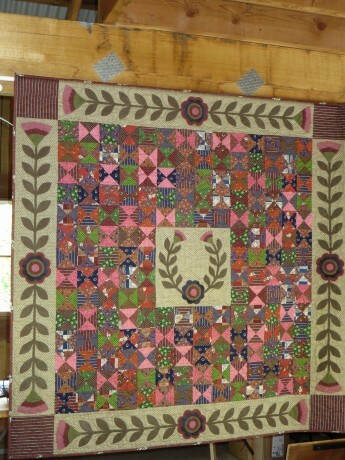 In a future post, I will write about another project framed in this way. 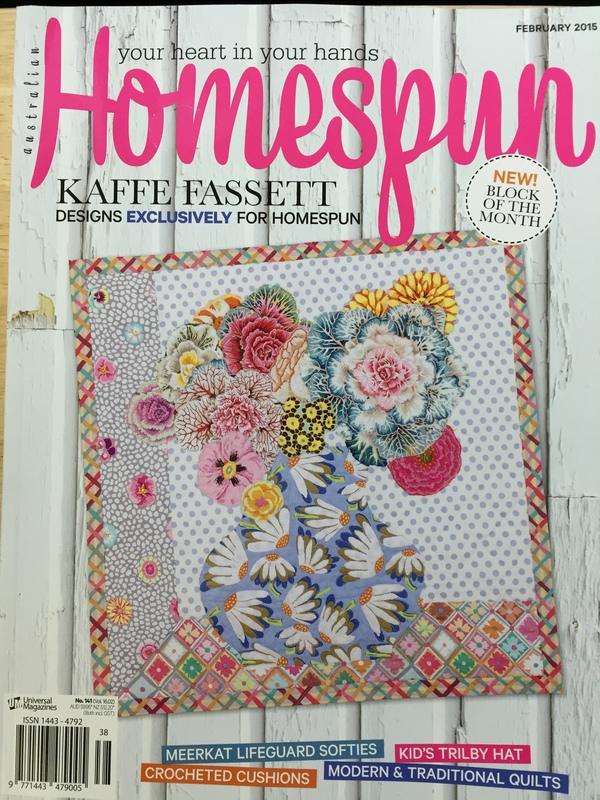 Jenny and I were delighted to see the February issue of Australia’s “Homespun” magazine in the shop this week. 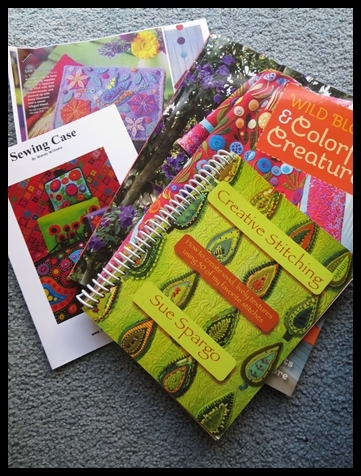 It is always a good read, with lots of projects to do and plenty of articles about patchwork and sewing plus great advertisements to drool over. 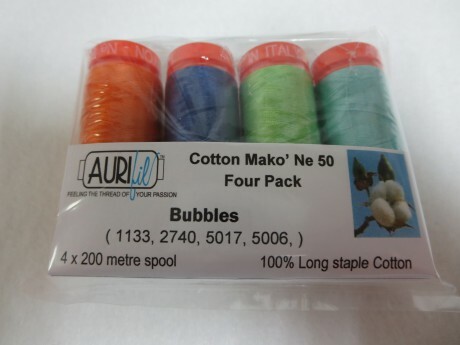 Several of our customers had mentioned that they were going to be selling the Homespun Block of the Month “China Blue” in their patchwork shops, and some had mentioned they would like some suitable Aurifil thread packs that would also work with the fabrics. 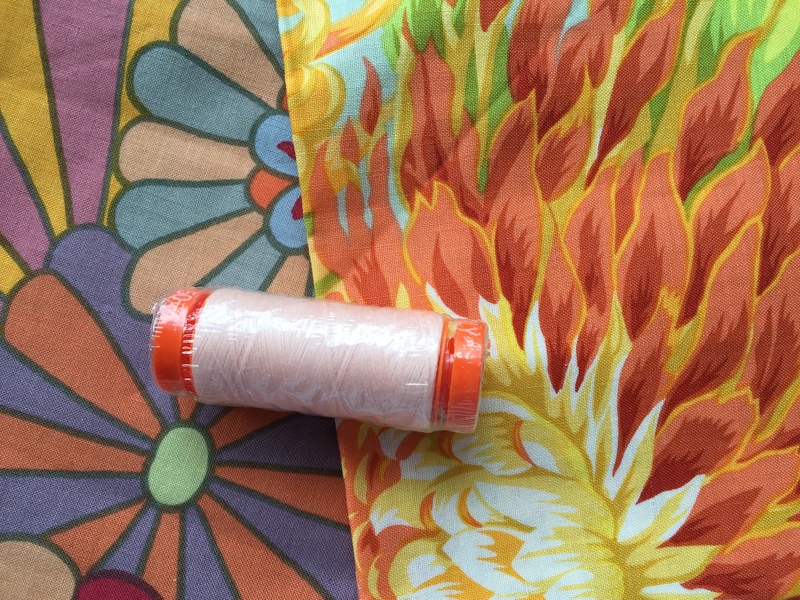 We knew that Kathy Doughty (from Material Obsession), one of the designers of this block of the month was an Aurifil stockist, and we noted that Kathy recommends, in the materials list, Aurifil 50 in a neutral colour like 2900. This got us thinking. 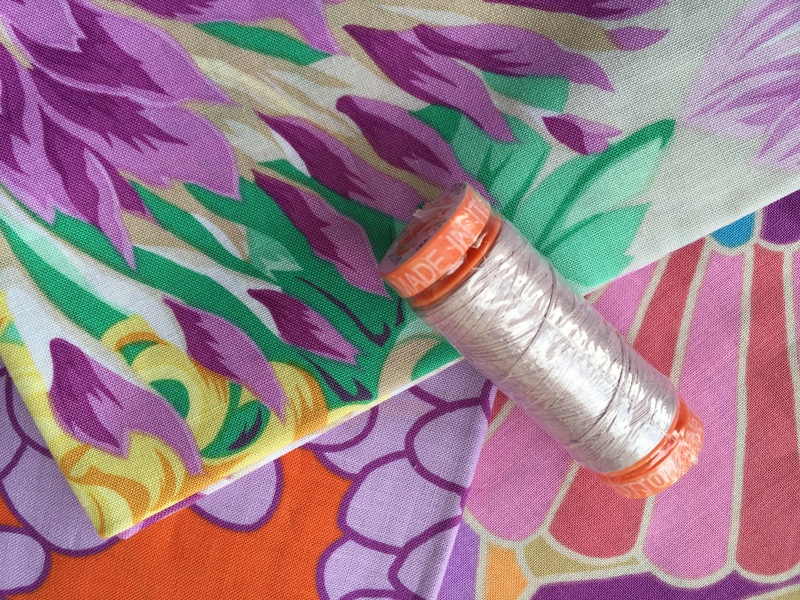 What other colours could we use to make up a small pack of threads for this amazing BOM and to go with the fabulous Kaffe Fassett fabrics? 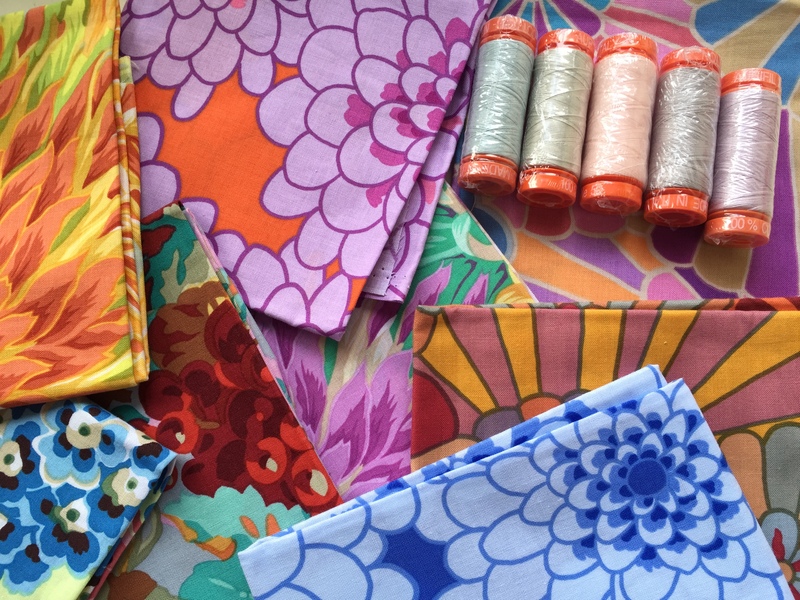 Always Quilting has a small range of Kaffe Fassett fabrics, so we selected a few, and matched them up with our thread selection. 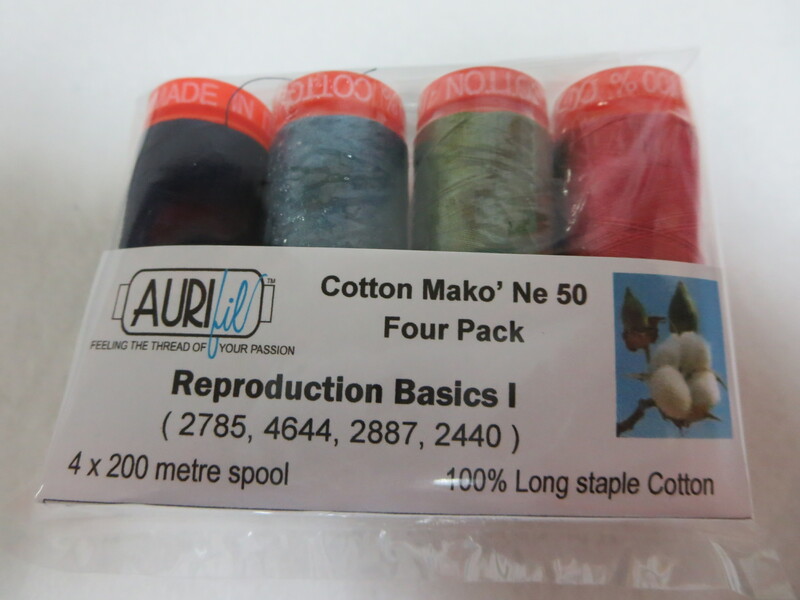 This was a very difficult task as Aurifil has 270 colours to choose from!! 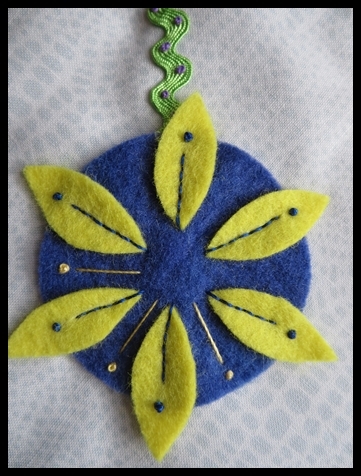 We also realised that you don’t need the perfect colour match for your applique. 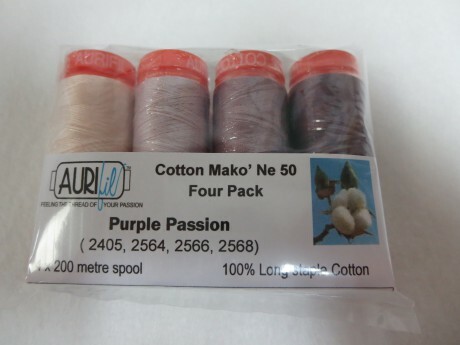 Although Kathy has recommended 2900 for this first part of China Blue, you may be interested in these other colours as well: 2564, 2846, 6724, 6727, 6723 (the last three numbers are part of the gorgeous new colours available in the Aurifil range). 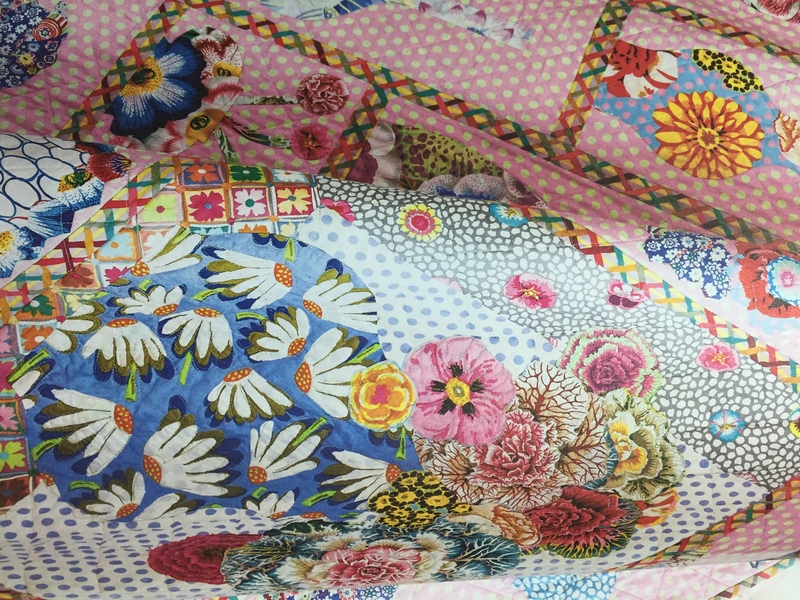 We will be looking forward to seeing what the coming months bring us with this exciting BOM from Homespun, designed by the fabulous Kaffe Fassett and Kathy Doughty (and the design team from Material Obsession).